This podcast is part of my lifelong mission to inspire a generation of bold, daring, and courageous entrepreneurs that will take the world by storm and change it for the better. I share the lessons I learn in my own journey as a business owner, and I share tips to help entrepreneurs strengthen their mindset and become the person they are meant to become in this life. This week I talk about a book I read recently... The Power of Habit by Charles Duhigg https://charlesduhigg.com/the-power-of-habit/ For more information on me or my coaching services, please visit francescamamlin.com If you want to support the show on Patreon, go to Patreon.com/EmpoweredEntrepreneurs Connect with me on Instagram @francescamamlin Thanks for tuning in! I sit down with Lee Rowley, the founder of Cage Free Marketing Copy. http://leerowley.com/ Instagram @theleerowley It is so important as an entrepreneur that you can talk about your business effectively. This means being able to reflect your value with authenticity and enthusiasm. Lee is a master copywriter, and he has some great insights on how you can achieve this and build your business’s brand voice. Here are some key takeaways from our conversation… If you sound like everyone else, the only thing that distinguishes you is that you are willing to work cheap. I mean, who wants to be known for that, right? It’s so important that you find what makes you unique as a business, as a person, and put that front and center. The goal with promotional writing is to build a connection. The misconception here is that the goal is always to get to the sale, and that isn’t going to create a long-term customer base. Connection and trust between you and your customers equals sustainable business. I love that Lee calls himself a copybrander instead of a copywriter, because his goal is to help build trust in a brand. This kind of work is much needed, because people are becoming very cynical towards online businesses and online marketing, so trust is the most important thing to have. And one of the really valuable things Lee talks about is how to begin crafting your message. He talks about getting clear on your why, getting clear on your story, and determining where your story and your customer’s story meet. And lastly, we talk about how everyone should be a brand, regardless of what you are doing. When you are hiding yourself from the world, you are depriving the world from you. And building a brand isn’t necessarily about building a persona, it’s about going back to your essence as a person and amplifying that. Such profound wisdom shared by Lee, and I hope you got some stuff that you can bring into your business. I will be doing more interviews in the future, so that is something to look forward in the future. I think they are cool. And until next time it is time for you to go forth and be the bold, daring, courageous, reckless entrepreneur that you were meant to be and I will see you next week. This is my rant about education, career, finding your passion, and navigating life. Hope you like it! Hello and thank you for tuning into the podcast this week. Before we get into the topic at hand, I would like to make a quick announcement. 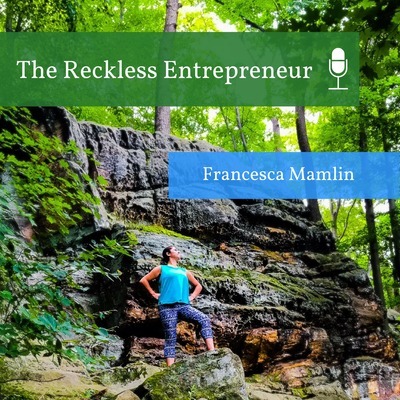 The Reckless Entrepreneur Podcast has been a passion project that I have been working on alongside running my digital marketing business where I help my clients with email marketing, copywriting, and content marketing strategy. Now, I am ready for The Reckless Entrepreneur to become more than just a podcast. This means I am going to start teaching entrepreneurs (and aspiring entrepreneurs) how they can live up to their full potential in this life. So I have created a six week 1:1 coaching program where I will help clients design their business and life in a way that allows them to focus on the legacy they want to leave, the impact they want to have on the world. I am so excited to be entering this next chapter of my career and to be putting this offer out. This program is for you if you are interested in becoming self employed or if you are already self employed, if you are driven by service and you want to learn how you can start living your purpose, if you are ready to make some bold moves to create massive change in your life, and if you want some support and guidance as you chase your loftiest dreams. I truly believe it is my purpose in life to help entrepreneurs live up to their fullest potential, so if you are ready to make 2019 the year where you make big things happen for yourself, I might be able to help you out with that. So if this offer speaks to you, go to francescamamlin.com… I have an application for the program on my website. If you have any questions, go to my instagram page @francescamamlin and send me a message, and I will be happy to chat with you. This message will be in the show notes… thank you for sitting through this self promotion and let’s get to the episode. Gratitude is like the cheat code to life. Whatever it is you are trying to do in life, it starts with gratitude. For most of you, it may seem like the most obvious thing in the world that you should be grateful for the things you have. Most of my listeners, I am assuming, has a pretty good life. You were probably born into a country where you have at least basic rights, you probably always had food and shelter, and you probably had a lot of opportunity. And ya, it’s so important to be grateful for the things life gave to you, the things other people provided for you. But there is actually a whole other level to gratitude. 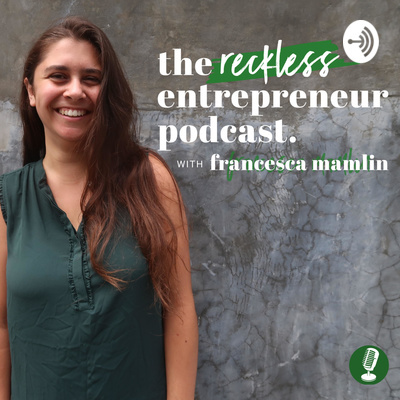 It is the first episode of 2019, and I am revisiting why I started this podcast in the first place, why I call it The Reckless Entrepreneur, and some trait that I have found to be essential to entrepreneurship. The second episode in the money-mindset series, this week we are talking about desire and how any achievement life begins with desire. Tune in to this episode if you want to learn to harness the power of desire, gratitude, and faith and what these things can do when combined. If you still need to listen to this series from the beginning, go back to episode 005 of the podcast. This episode is about a book I read this year that profoundly changed my life. I am discussing some of the main lessons I learned from it and how I apply it to my life as an entrepreneur. I talk a bit about what I have been doing the last few months, talk about FOMO, and talk about where my podcast and business are headed in the new year. Getting up early is a simple but significant habit that will improve your health, career, finances, and personal development. The reason it’s so powerful is because it starts your day out with a choice. Your day starts with you getting out of bed because you want to and not because you have to. I’ve gone back and forth with early mornings throughout my life. I was an extreme morning person in high school, I lost the habit in college, and recently rediscovered it a few months ago, making it an intricate part of my life. And I am certain this podcast (my passion project) wouldn’t exist had I not committed to getting up early every morning. Bonus episode from the money mindset series. Listen to this after you have listened to 005 Beliefs Create Reality. The idea of a “career” is changing rapidly, and I think the changes are happening for the better. Careers used to be built on the idea that we have to go somewhere else and earn a living from an established source. This is no longer the only option. You have the opportunity to design a career that fits into your life and not the other way around. No job and no career has a future. You are the future. Work is no longer about businesses taking from people, it’s also about what a company can do for you. Do you feel good about what you do at work every day? Jobs should be as educational as school, and companies should care about who you want to be. Work makes up such a huge part of our lives, so it’s worth taking some risks to enhance that part of our lives. If you are listening to this podcast, it is likely you are a visionary. Congratulations! The people who do amazing things in this world are often the ones who are a little crazy. They are crazy in a healthy way, but crazy nonetheless ;) I have been working on stepping into the visionary role, and this kind of thing takes practice. The truth is we all have ideas to bring to the world, we all have something to share. It’s up to you whether or not you want to uncover this within yourself. I am read a book called Rocket Fuel that describes visionaries and the role they play in a business. Visionaries are the 3% of the population that creates ⅔ of the jobs in the economy. You are among the 3%. Don’t lose sight of this. Shadow Artists: People who had creative dreams as a kid, but as an adult, they pursued a more “practical” career due to pressure from adults in their life. Main Points There is room for all of us to live our purpose. Whether you believe it or not, you are creative, and you have huge potential. Don’t build or run your business from a place of desperation. Don’t let money control you. Spend each day doing what you came here to do. Once you let fear take control, it can be hard to come back from that. The kinder world is one where everyone is living their purpose.